Nothing says late summer like Pittsburg’s own Seafood & Music Festival, an outdoor extravaganza that draws thousands of visitors to Pittsburg every year. Now in its 34th year, it returns to the beautiful Pittsburg Marina Saturday. A Festival that has long been one of the keystone events in Contra Costa County. 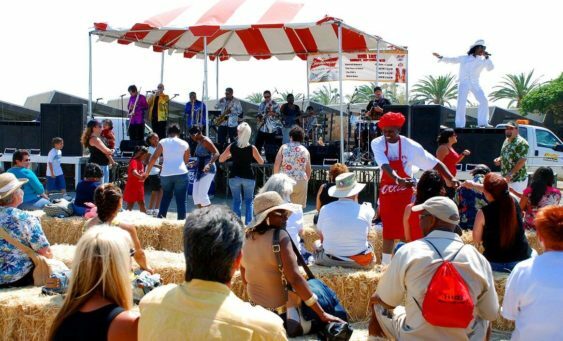 This gastronomic extravaganza features lots of tasty treats including gumbo, crawfish, BBQ oysters, steamers, mussels, chowder, fish & chips, lobster rolls & an array of all types of foods for every taste. There’s a wide variety of arts and crafts on display, amusement rides for the kids, four live entertainment stages and a lot more. This year be sure to catch headliner Sheila E and dozens of local music acts. All proceeds go to 40 non-profit organizations in Pittsburg. Sorry! The contest for Pittsburg Seafood & Music Festival | Pittsburg Marina has ended.